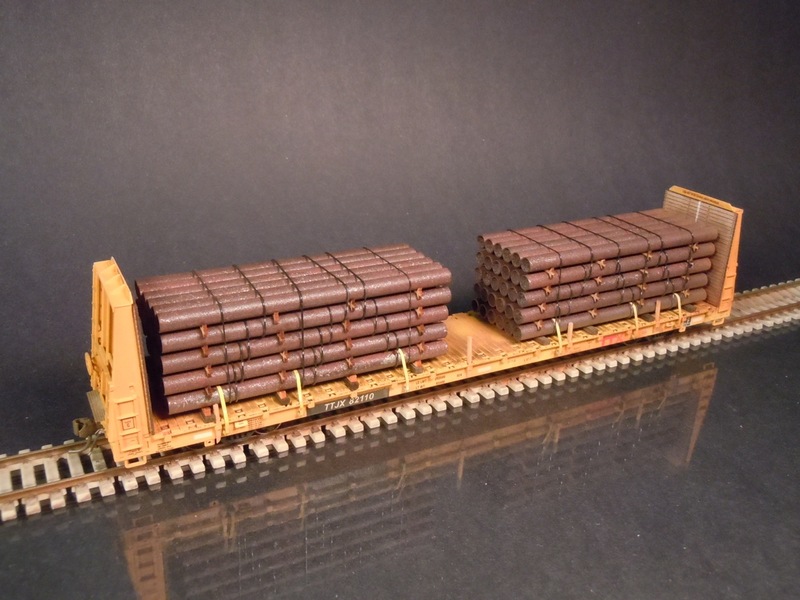 This model features two lifts of raw steel pipe made with K&S thin wall aluminum tubing, AEI tags, ratchet appliances, new steel deck, scale laser cut wood dunnage, and Kadee couplers. 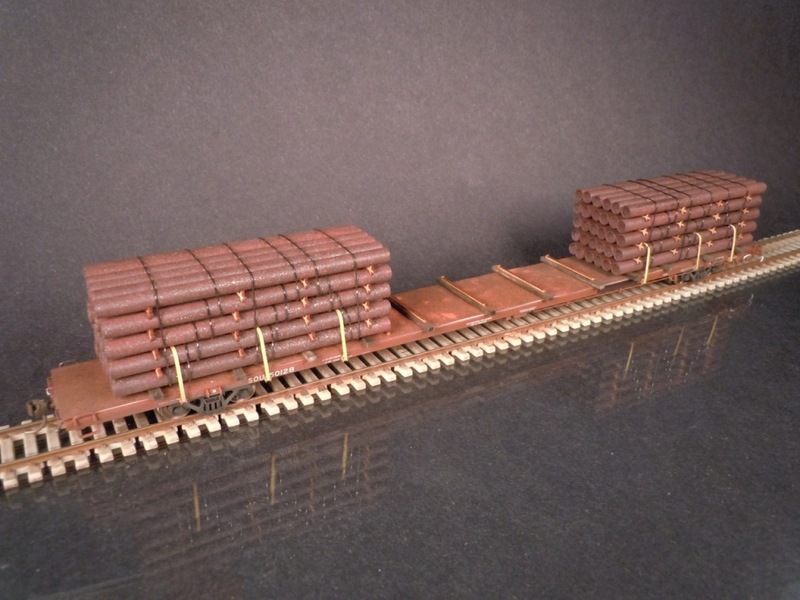 SKU: SOU 50128A. 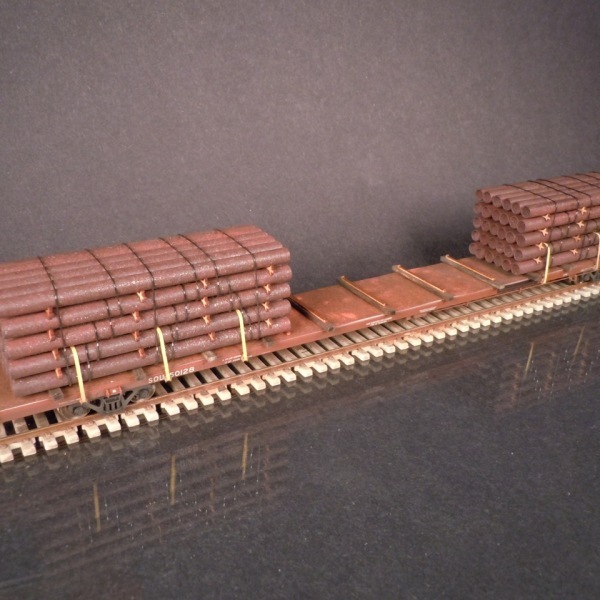 Categories: Loaded Freight Cars, Pipe. 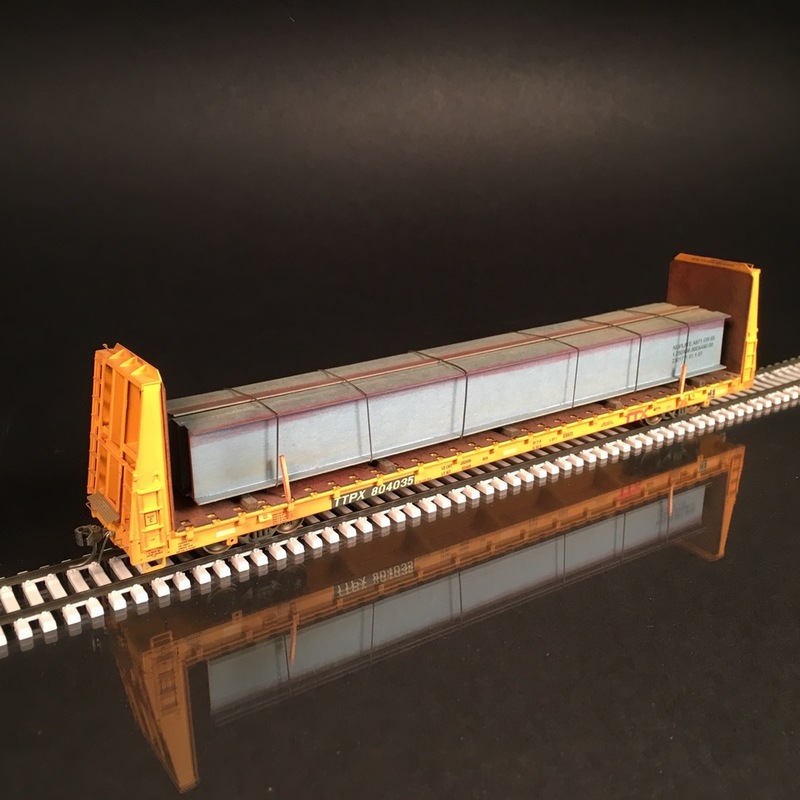 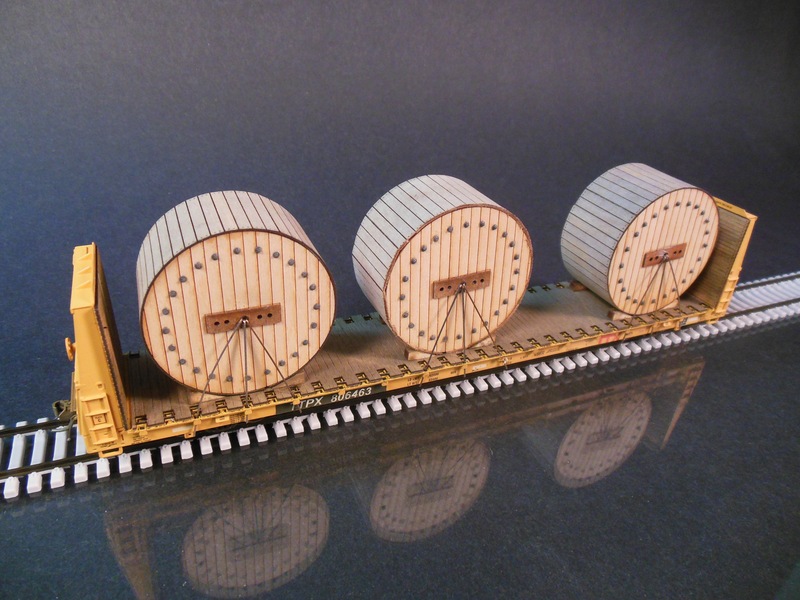 Atlas HO scale bulkhead flatcar with utility cable spools. 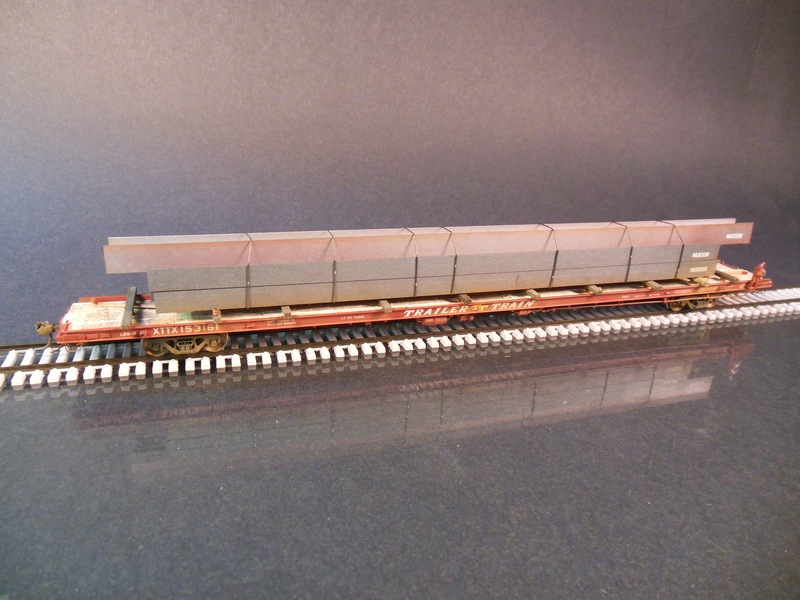 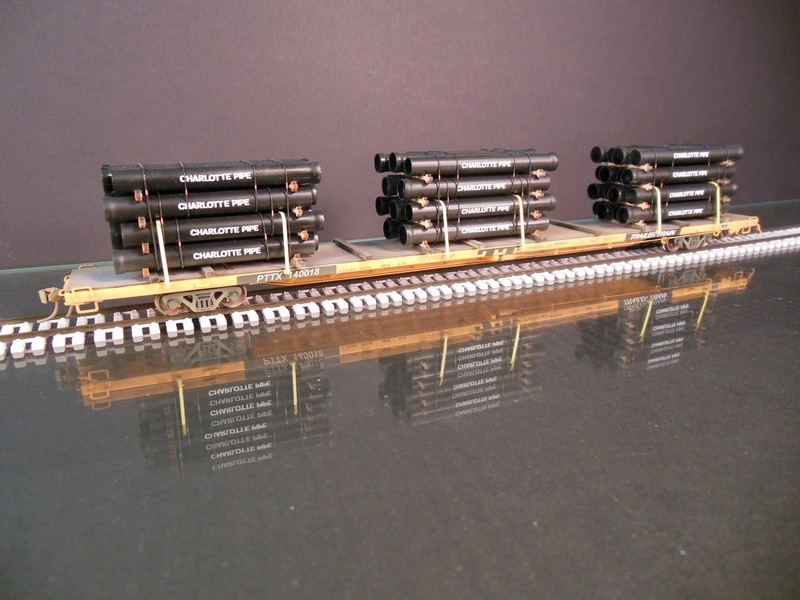 Athearn HO scale 89′ flatcar with steel beams.